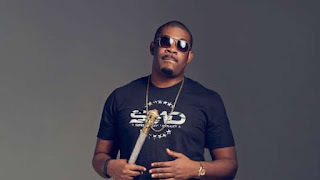 Mavin Record label boss, Don Jazzy, has taken to social media to celebrate the effect of eating healthy on his body in just two weeks. According to the producer, he is now able to see his testicles while shaving. The excited music star then revealed he is on his way to getting 6 pac.